SUREST International is a start-up company which will bring an innovative and technically sophisticated sunlight cooker on the market, to provide a cheap and sustainable cooking solution to poor people in developing countries. 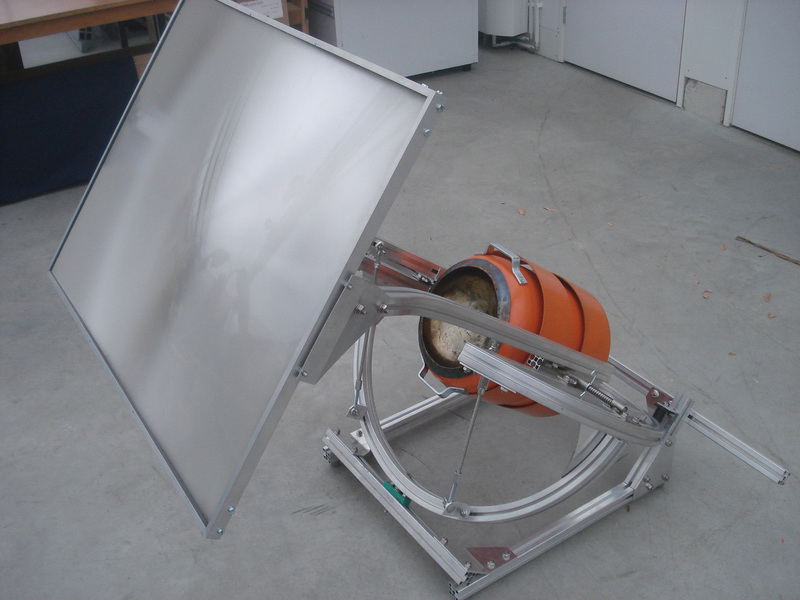 The SUREST Sunlight Cooker has as unique features, a sun tracker and a heat storage tank. The sun tracking system allow the rays of the sun to be captured ccontinuously throughout the day, which than is stored in a well insulated heat storage tank. The main disadvantage of most conventional solar cookers is that they cannot follow the course of the sun. We have solved this by including a sun tracker to the loading station, by which the sunlight can be captured most efficiently. For poor people in the Third world who have to rely on collecting firewood or buying carcoal as their cooking fuel, our SUREST Sunlight Cooker provides an efficient state-of-the-art technology capable of capturing sunlight and storing it in a heat storage tank, which can be dismounted from the loading station to be used later on as a cook stove in any place and at any time, e.g during the evening hours. With these unique features the SUREST Sunlight Cooker clearly distinguishes itself from other solar cookers, which can only function in the full sunshine and which have too low a capacity to cook a family sized diner with. With our cooker the collection of solar energy is independant of the use of the stored heat. The heat storage tank allows flexible cooking in accordance with the cooking habits and with the preferred cooking hours of the local population. After the heat storage tank is detached from the loading station (i.e the sun tracker + lense), an insulated transportation lid is placed on top of the tank. Than it will be delivered to the kitchen area where you want to cook diner. 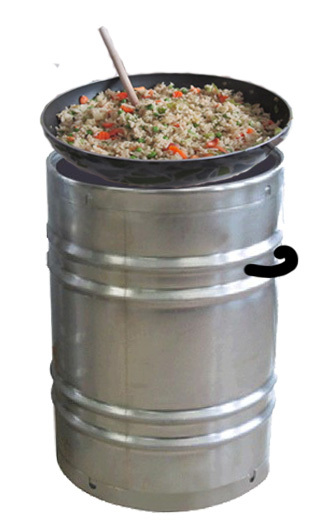 The transporation lid is removed and a pot can be placed on the cooking plate. A fully loaded tank allows a cooking time of about 2 hours. The height of a standard tank is 70 cm. 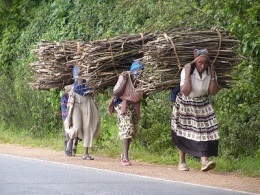 If women prefer to cook sitting on the ground, a shollow pit can be digged in which the tank is placed, after which the cooking plate is only 40 cm above ground. The end-users only pay for the use of heat contained in the heat storage tank. They themselves do not have to invest in the SUREST technolgy . This is very similar to the use of bottled LPG gaz: the end user only pays for the content and not for the bottle, nor for the machine which fills the bottles with gaz. 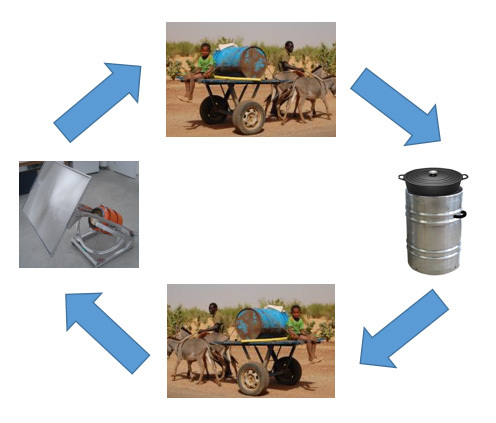 The required investments for the sun tracking and docking station as well as for the heat storage tank, may be pre-financed by the managers of a refugee camp or (by using micro credit funding) by local enterpreneurs. 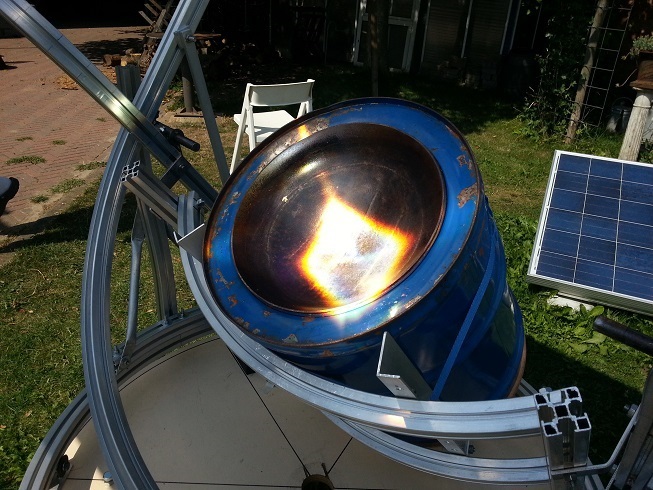 This will make the SUREST Sunlight Cooker an ideal cooking solution for 3 billion of people! Refugee camps in sunny regions are our most important market: half the number of refugee camps, which total 700 camps worldwide, is very suitable for our technology. In the sector of refugee aid services dozens of NGO’s are actively involved in refugee aid programmes. The UNHCR (United Nations High Commissioner for Refugees) is the largest organisation. That’s why we will try to organise a demonstration project in one of the refugee camps managed by UNHCR staff, to demonstrate the SUREST Sunlight Cooker under practical working conditions. That would make the UNHCR our “launching customer”. At the moment the problem of indoor air polution by cooking on open wood fires is tackeled by NGO’s and international donor organisations by the introduction of improved cook stoves for families in developing countries. However, improved cook stoves still cause considerable air polution and the collection of sufficient firewood remains a big problem. These improved cook stoves do offer some advantages, but fail to provide a real solution for the problem. Conventional solar cookers hardly compete with the SUREST Sunlight Cooker because they are not equiped with a sun tracking system and they do not have a detachable heat storage tank. Recently, in a dozen refugee camps conventional solar cookers have been introduced, which illustrate the urgently felt need for cheap and sustainable cooking solutions, notwithstanding the fact that these solar cookers are not adapted to the local cooking habits and do not fit well into the daily scheme of activities of households in refugee camps. We are convinced that the SUREST cooking solution will be received and adopted enthousiastically by the refugee population. In addition, it will save a considerable amount of money for the aid organisations, which than becomes available for other urgent matters.